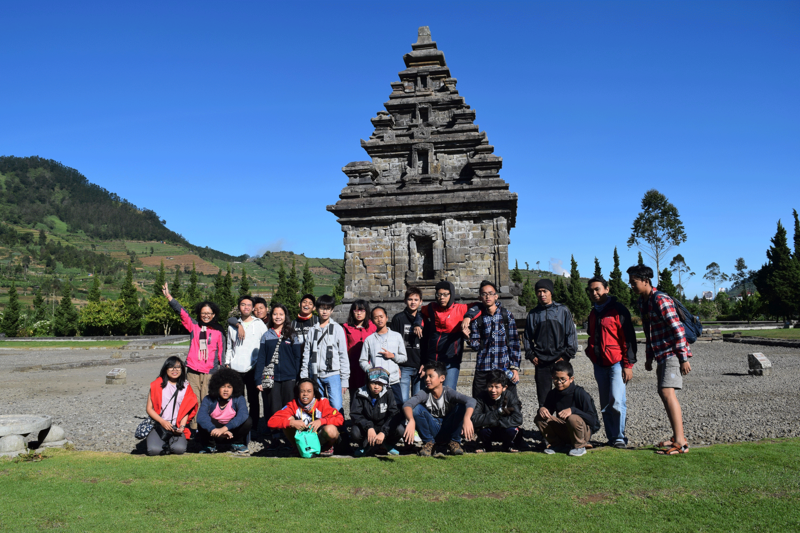 On May 29-30, 2018, Kalyca Adolescent students had a field trip to Dieng, Central Java as a part of the school’s annual program. This program is aimed to introduce the students to the nature. 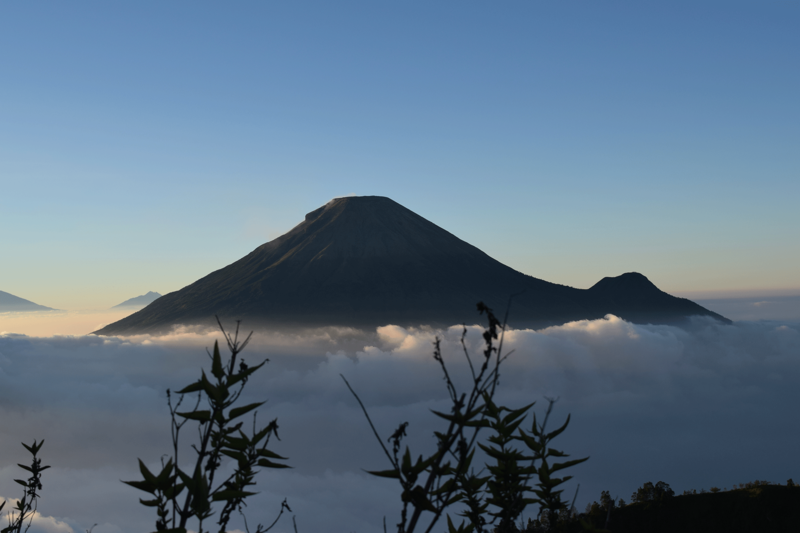 Besides, by joining this field trip, the students can learn about Dieng’s culture as well as its history. The students departed on May 29 in the afternoon. The trip took about 4 hours by bus and arrived at Wonosobo at around 5 p.m. After having enough rest after arrival, the first activity was games. There were several games played in groups. All of the games were aimed to build the students’ cooperation and leadership skills. The games are also aimed to train their logical and critical thinking. 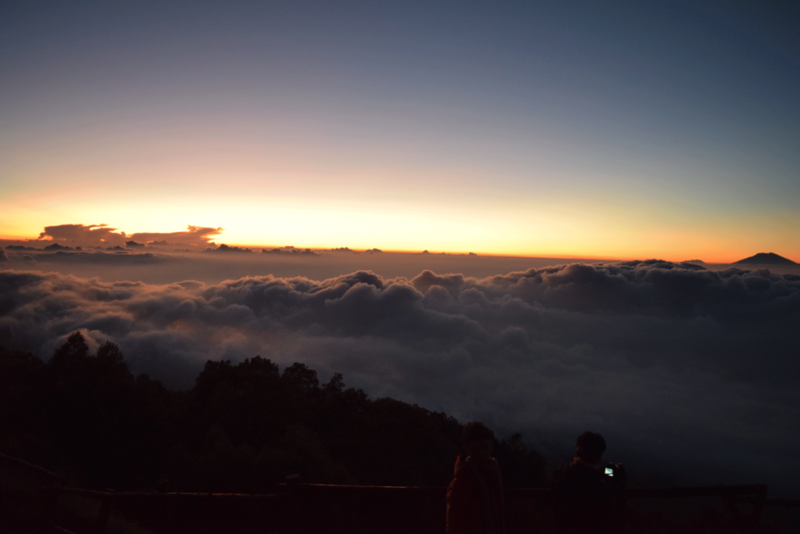 Catching sunrise at Bukit Sikunir was the first activity for the second day. The students departed from the homestay at 3 a.m. The weather was so cold but the students’ excitement was way stronger. After a brief coordination with the tour guide, the students began to hike with teachers’ supervision. 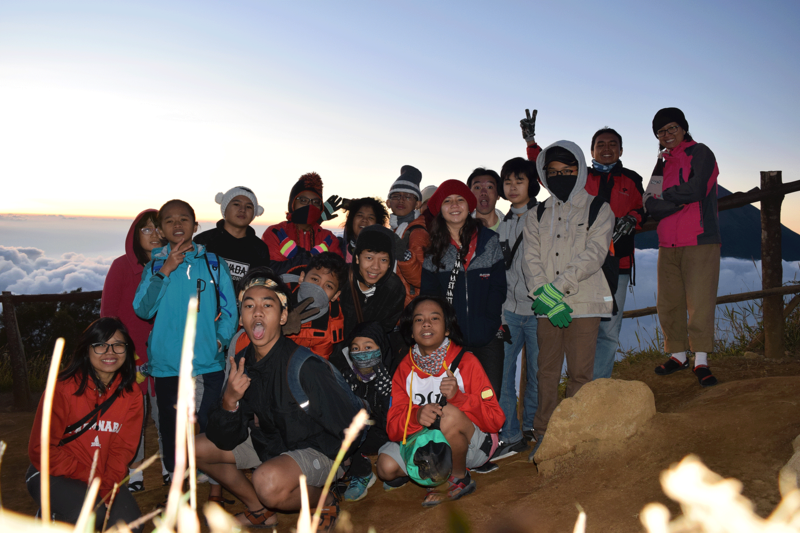 During the hiking, the students were divided into small groups consisting of 6-7 people. For most of them, this was their first hiking experience. However, they managed to reach the top after an hour of hiking. All of the tiredness was paid off with the beautiful sunrise. From the top of Bukit Sikunir, they can also see Mount Sumbing, Sindoro, Prau and Merapi. It was a breathtaking moment which they will not forget. At 6 a.m. they went back to the bus and continued the trip. The second destination was Arjuna Temple. 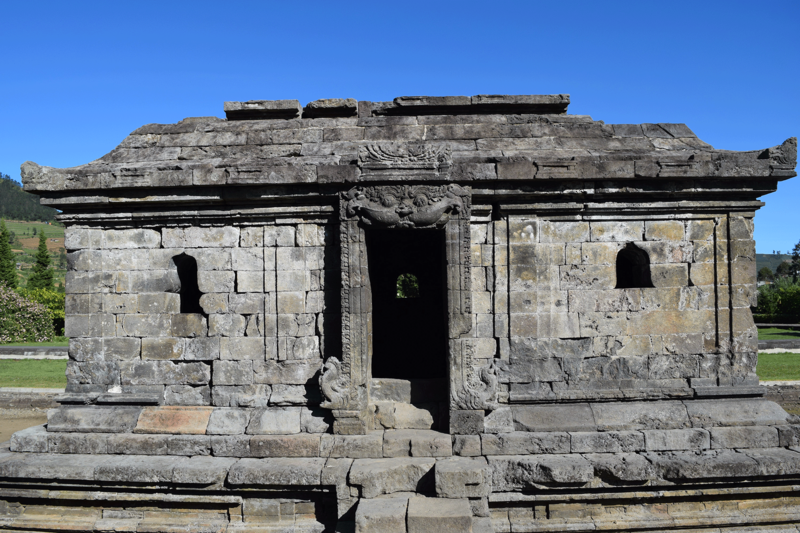 In this place, the students studied about the history of Arjuna Temple and a bit about the development of Hinduism in Indonesia, especially in Dieng. The weather was nice and the place was not too crowded that the students could explore Arjuna Temple. They also had a chance to see restoration and excavation process of a temple. This was a good experience for them in understanding the importance of conserving temples as cultural heritage. 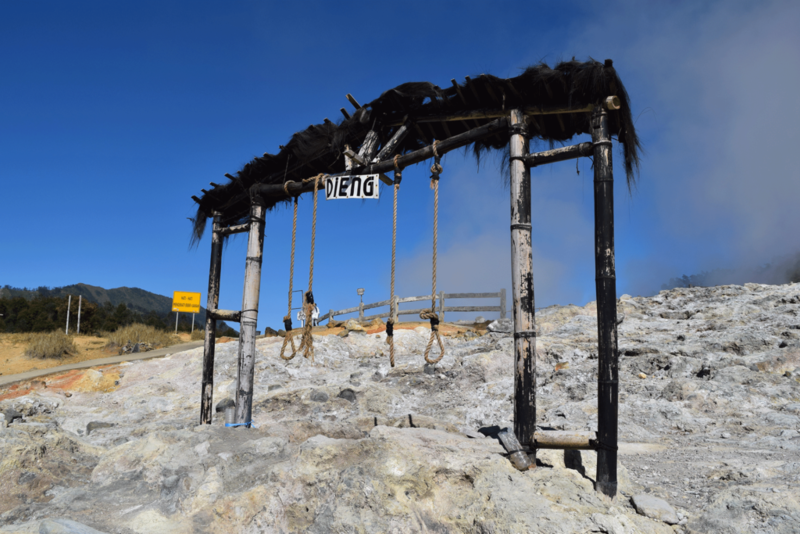 Dieng Plateu Theater (DPT) was the next destination. The students watched a documentary film about Dieng, its culture and geographical features. The film was quite short but very informative. Right after watching the film at DPT the students moved to the fourth destination which was Sikidang crater. 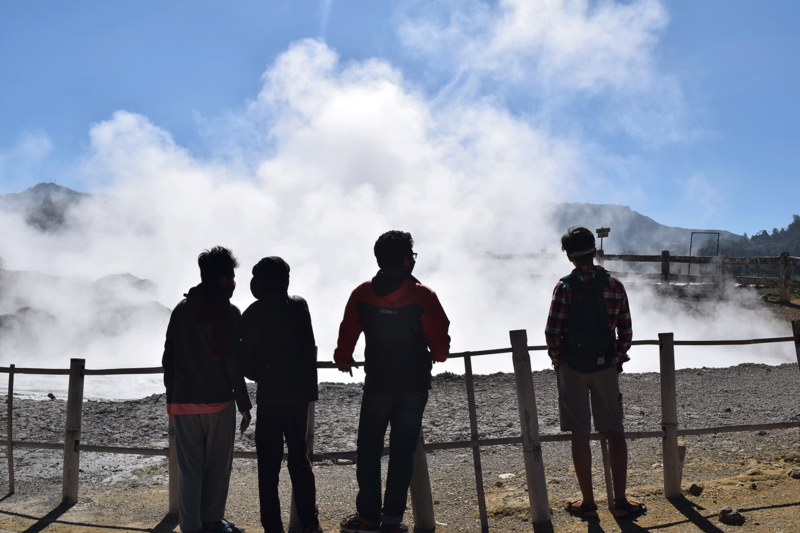 Despite of the smell, the students could enjoy exploring the crater. The last destination was Telaga Warna. This place was under construction. Therefore, there was not much to do there. However, the students got some interesting information from there, including the legend behind its name. At last, the students went back to school at around 1 p.m. with an unforgettable experience.